Your most important choice when setting up an electric fence is your energiser. There are many choices in terms of power source, brands, distance rating and reliability here as Agri-Supply UK and this guide will aims to give you an understanding of which electric fence energiser is right for you and your particular fence system. Your the power source which you will run your electric fence energiser from is your first decision. This will decide which section of energiser you will look into. Where possible a mains supply is the best option, for this you will also need lead out cable to run from the energiser to the fence and a 2m earth stake. Mains energisers are more reliable as they are keep in the same place indoors out of the weather and are much less likely to be stolen as they can be kept in a secure location. 12v battery electric fence energisers are powered by a 12v battery such as a leisure battery or car battery. A leisure battery is preferable as it can sustain contain re-charging and thus will have a longer life. These electric fence energisers can be moved around and are good for powering fences that are temporary and in remote locations. Dry battery electric fence energisers use non-rechargable 6v or 9v batteries and usually fairly light, portable and easy to use. The long term cost can be higher on these energisers as the batteries need to be replaced. They can power short fences like strip grazing. Solar electric fence energisers are higher in cost but offer a good value power source in the long run with the fence energiser storing the power from the sun. The cost of these energiser initially is high and with current technology they can usually only power small fences. Solar energisers that charge 12v batteries are the best option as they combine the 2 power options so you have a back up. At Agri-Supply UK we stock several different brands of fence energisers such as Rutland Electric Fencing, AKO and Horizont. Each brand has different features and strong points. 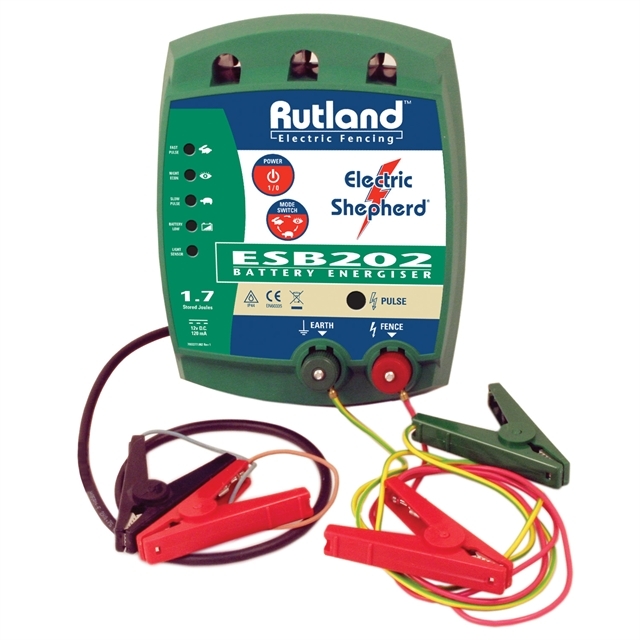 Rutland manufacture their electric fence energisers in the UK and are responible for the well known electric shepherd range. Fence energisers from Rutland have a two year warranty and offer of a choice of 12v battery, dry battery, mains and solar energisers. They offer great quality and reliability at a slightly higher price. Rutland do not currently sell dual power energisers. AKO from Germany manufacture a good range of great value energiser including the basic AN500 which is a great entry option. All AKO fence energiser have 3 year guarantee. AKO offer a large range of dual power energisers in the X range from the X1000 to X3000 for the small to very large electric fences. Horizont also are located in Germany and are very competitively priced. The electric fence energisers they supply have a 2 year warranty. There is a large choice from 12v battery, dual power, mains, dry battery and solar. The AN trapper dual power energisers are particular popular for their versatility and value. Each electric fence energiser is given a distance rating to give an idea of how much fence it can power. Distance ratings are based on a 2 line multi wire fence. Poly tape and poly rope are not as good conductor as wire so you would revise these figures down around 20% if using those on your fence. The no vegetation figures is based on virtually no vegetation whether it be grass, hedges or trees touching the fence and draining its power. Medium vegetation is the most widely used figure as it would account for moderate amount of grass, trees and hedges touchings the fence. The high vegetation rating is used in overgrown areas and there is a large amount of draining of power. Generally the more you for an electric fence energiser the larger the distance ratings will be. You will want to take into account your current fence length, the type of conductor you are using such as poly tape and if you will possibly increase the length of your fencing in future. Mains and 12v battery and mains fence energisers give higher distance ratings where as dry battery and solar powered energiser offer will power lower distances. An important feature that an electric fence energisers must have is reliability so you can be rest assured it will work when you need it to and for a long time. 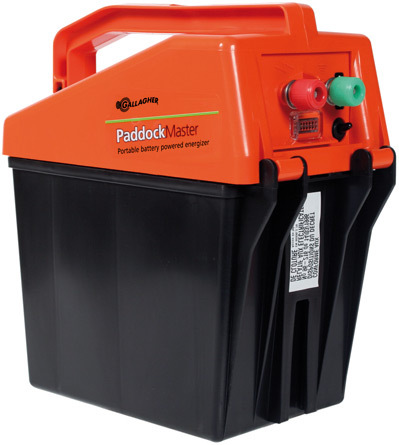 At Agri-Supply UK we only stock energisers that we would be confident ourselves to contain and protect livestock. Generally the more you pay the longer lasting energiser you will get. Mains energisers last longer as they inside, kept dry and away from the elements. Here at Agri-Supply UK we like to help customers make the right choices and when it comes to electric fence energiser this choice is important as it will guarantee a reliable and effective electric fence. With so many electric fence energisers available we feel it necessary to run through the various models to help you make a decisions.